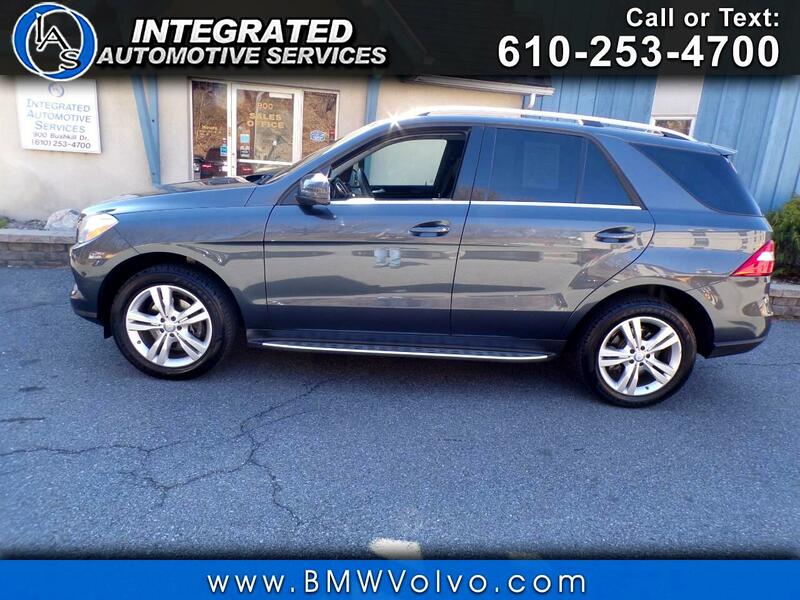 Used 2014 Mercedes-Benz M-Class ML 350 4MATIC® for Sale in Easton PA 18042 Integrated Automotive Services Inc. Recent Arrival! Clean CARFAX. Clean Carfax, Non Smoker, 4MATIC®, Black Artificial Leather, 115V AC Power Outlet, 19" Twin-5-Spoke Alloy Wheels, Active Blind Spot Assist, Active Lane Keeping Assist, Auto-Dimming Mirrors, Auto-Dimming Side & Rearview Mirrors, DISTRONIC PLUS® w/Pre-Safe Brake, Double Sun Visors, Driver Assist Package, Driver Assistance Package, Driver Memory Seat, Heated Front Bucket Seats, iPod/MP3 Media Interface, iPod/MP3 Media Interface Cable, Navigation System, Power Folding Mirrors, Power Liftgate, Power moonroof, Power Tilt/Telescoping Steering Column, Premium 1 Package, Radio: COMAND® Navigation & 6-disc CD/DVD, Rear-View Camera, SIRIUS XM Satellite Radio.